The EchoTR2 Series of 2-hand Trout Rods are ALL NEW for 2017. The finish is the same army green color as all previous TR rods, but glossy instead of matte. The handles and reel seat are all new this year. The new design is very graceful, and feels good in the hand. TR's are designed to fit a wide variety of casting styles. Skagit and Scandi styles of casting are all easily accomplished. The Echo 4113 is ALL NEW for 2017. 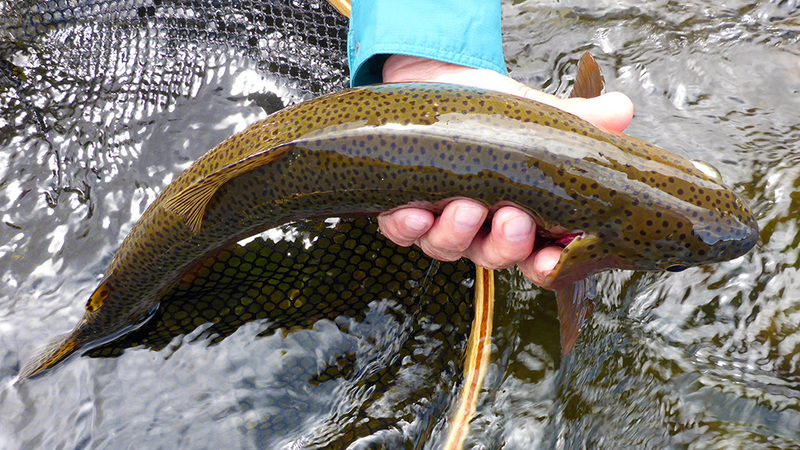 This 11-foot 3-inch, 4-weight rod is the perfect size for trout from one to five pounds in larger rivers. Use a a 270-grain Scandi for presentations in the surface film, and a 325-grain Skagit Max and up to 10' of T-8 for swinging sculpins & buggers.